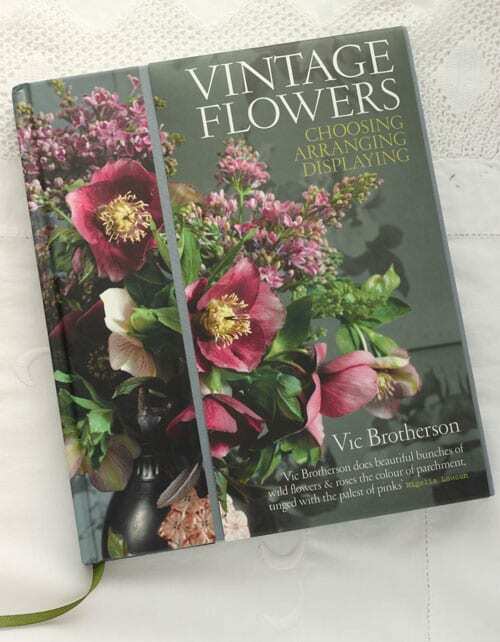 So many people have told me that I just ‘had’ to read ‘Vintage Flowers’ by Vic Brotherson, so I was delighted to recently receive a review copy. And I must admit that once I’d started, I found the book very difficult to put down. 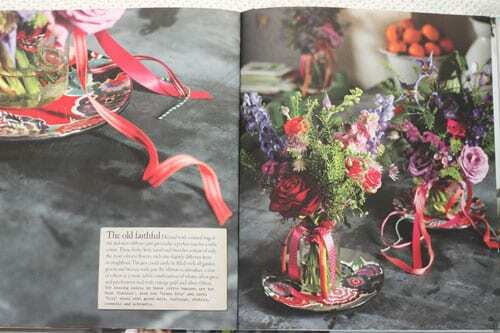 Vic’s vintage-style arrangements are absolutely stunning and in particular, I love the eclectic assortment of colourful containers that she uses to complement her designs. You may remember that I featured Vic in a post back in the summer. 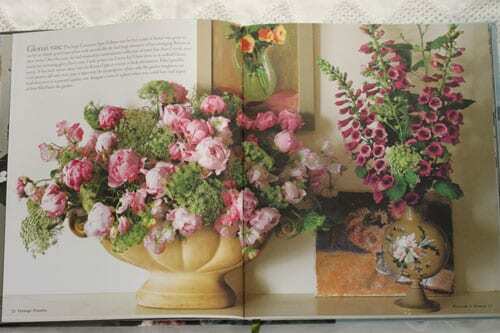 She’s the owner of a wonderful florist shop in London called Scarlet & Violet and has been a florist for twenty years. This is her first book and it’s a real gem, split into sections including Rosy & Random, Blossom & Blousy, Herby & Homey, Blooms & Bonkers, Camellia & Constance, Holly & Ivy and Tools & Rules. 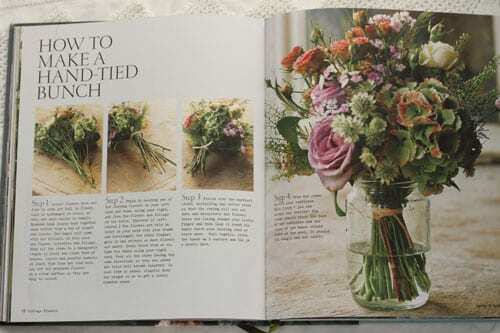 Plus there are sections on what to have in your tool cupboard, choosing flowers, preparing flowers, the perfect vase and how to arrange flowers. 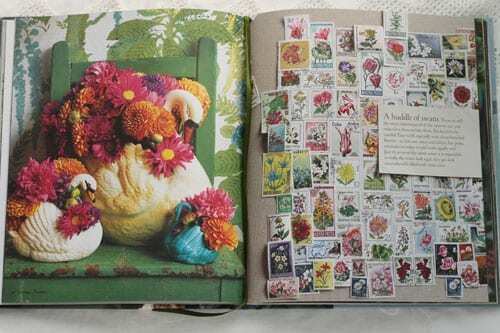 So, if you’re looking for Christmas present ideas, either for yourself, friends or relatives, I would highly recommend putting ‘Vintage Flowers’ on your list. 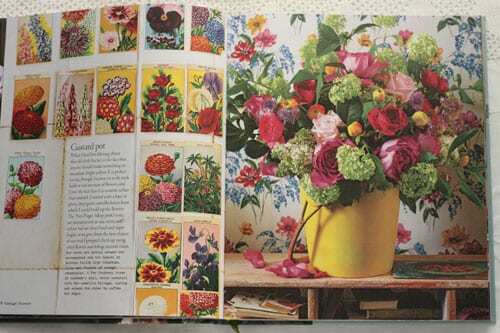 It’s a wonderful piece of floral escapism…with lots of inspiration and helpful hints and tips too. Oh, and if you’re in need of inspiration for decorating your home over the festive period, do take a look at the ‘Holly & Ivy’ section where there are beautiful door wreath ideas, lots of traditional red and green arrangements, plus designs in muted vintage hues. I knew you’d like it Rona! I’ve got a review copy too and I can confirm it’s absolutely stunning- I actually gasped with joy at certain pages! I also found it really useful as a reference too for flower names etc, so it’s not just pretty pictures with no content. I highly recommend! You were absolutely right Jo! I LOVE the book :-). Like many of the other reviewers I was in two minds as to whether to purchase. 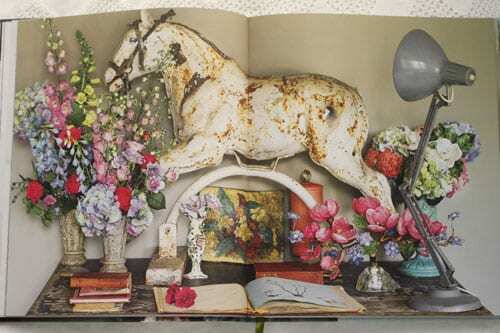 Having seen the gorgeous accompanying photos and list of contents I am going to order – as a part-time Floristry student this will be a bit of a gem in my ever-expanding collection.